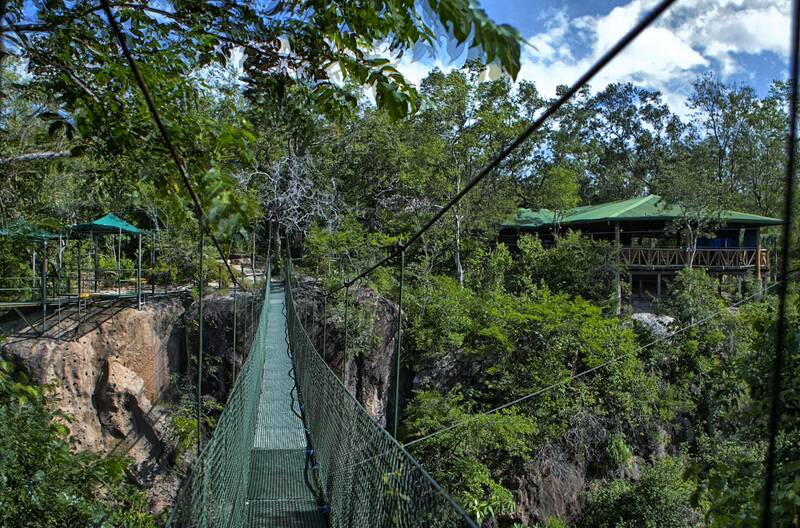 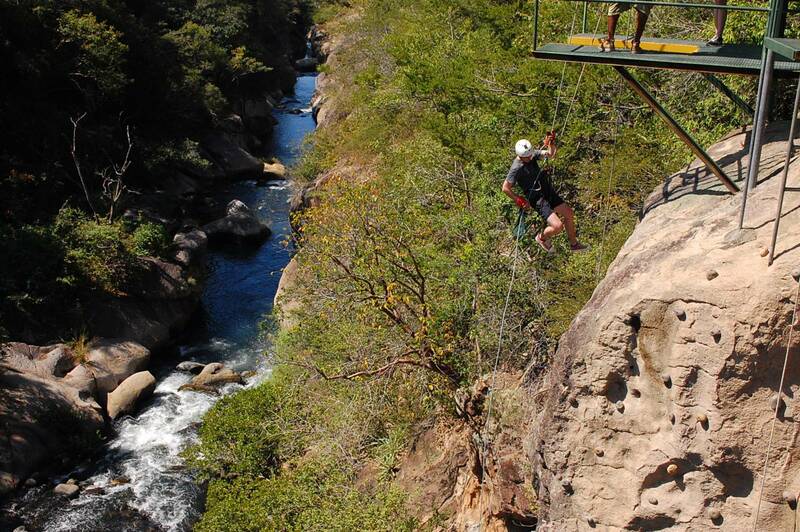 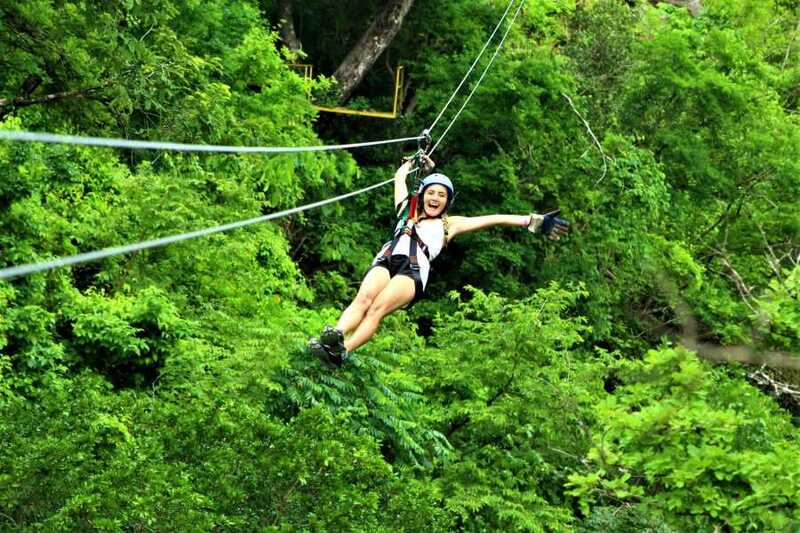 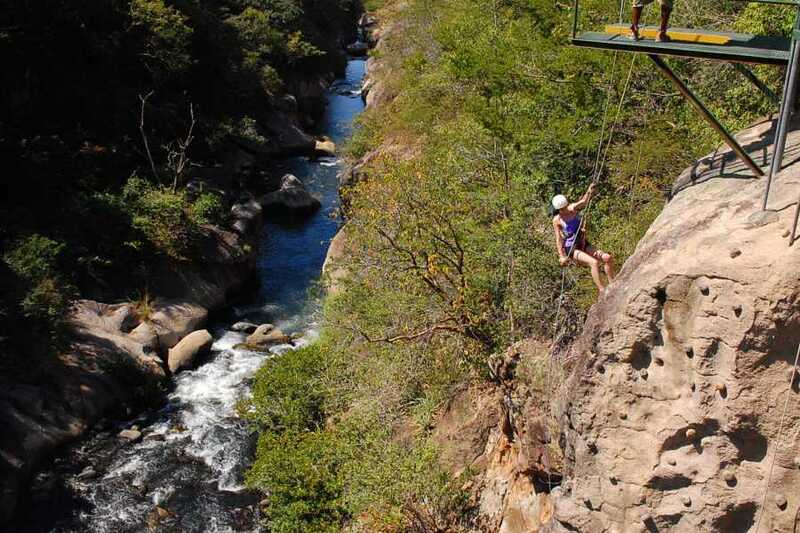 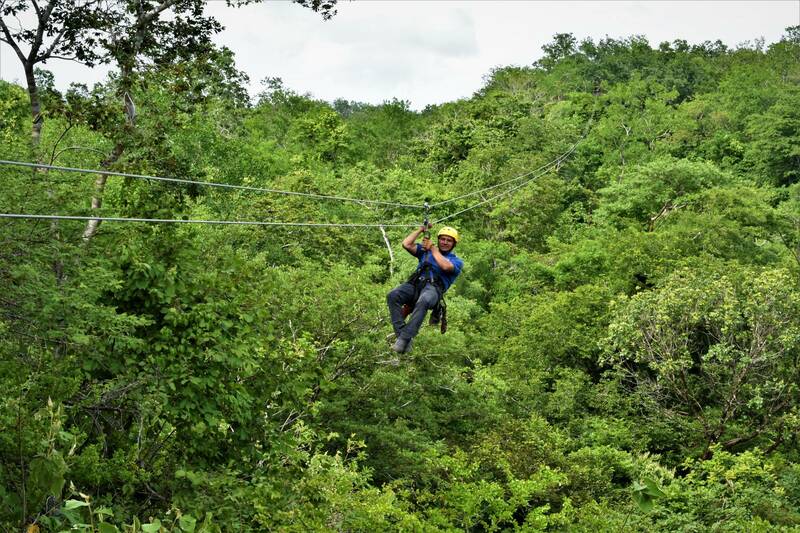 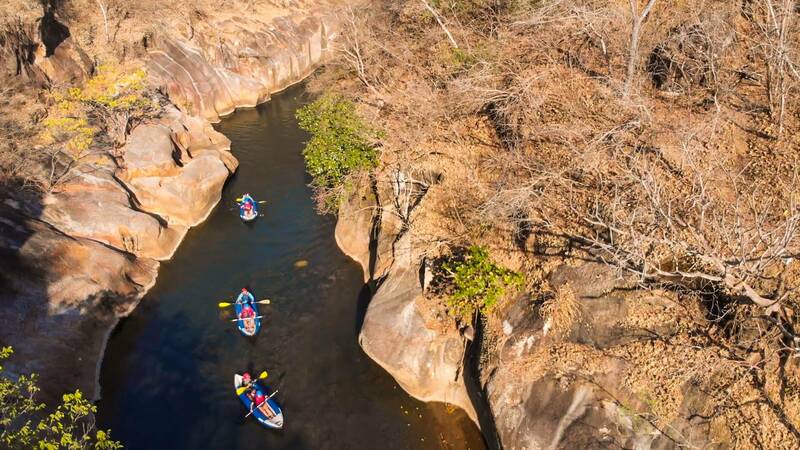 Cañon de la Vieja Adventure Day Pass - Congo Trail Canopy Tour, Your family friendly experience providing canopy zip line tours in Guanacaste, Hanging bridges, platforms, rapelling and extreme superman zip lines and tarzan swings to visitors visiting Costa Rica. 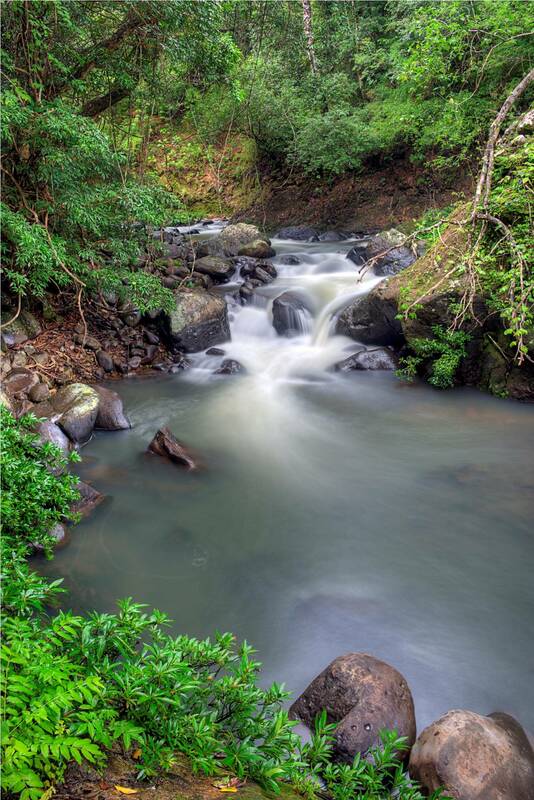 Cañon sits at the base of the Rincón volcanic range. 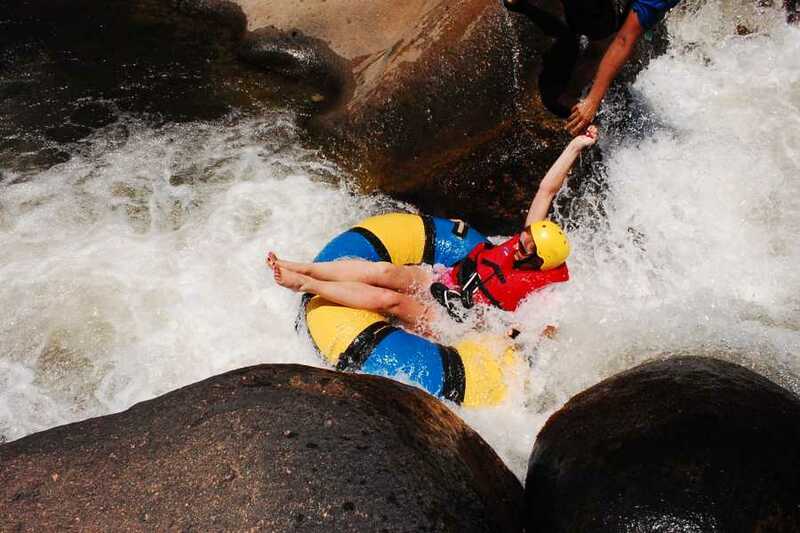 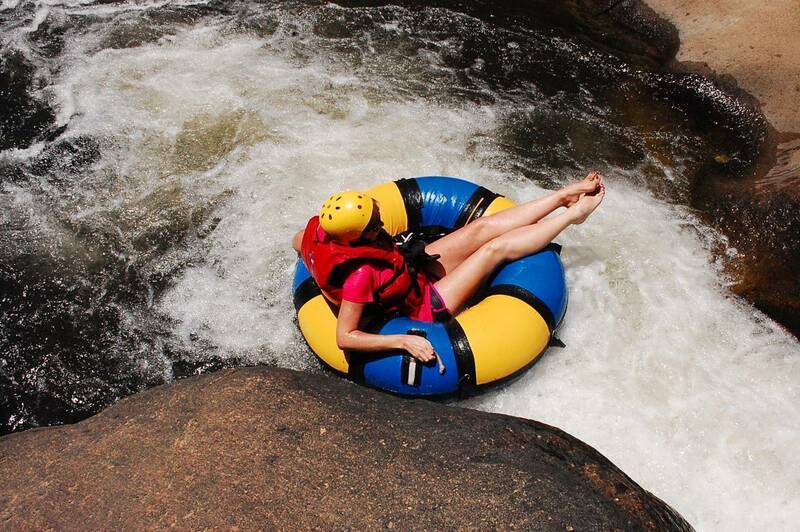 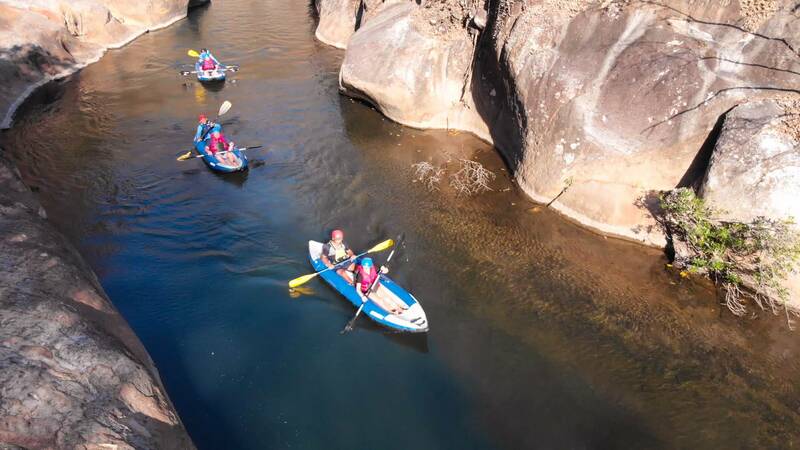 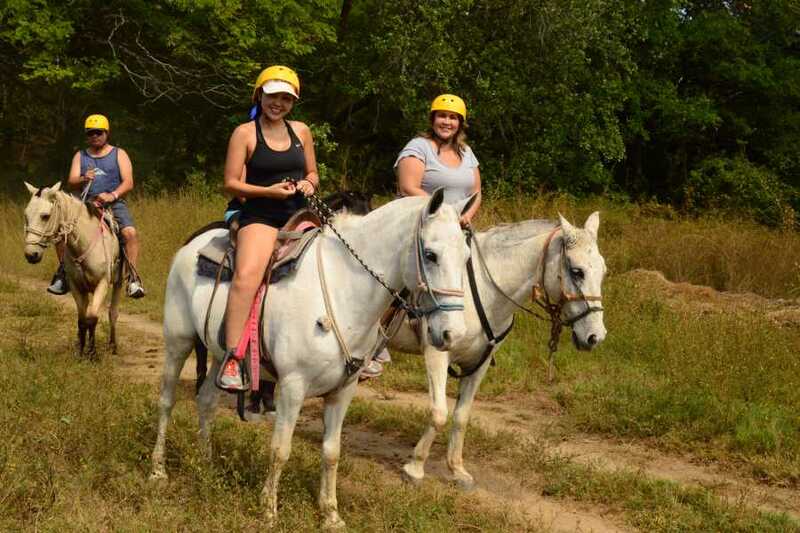 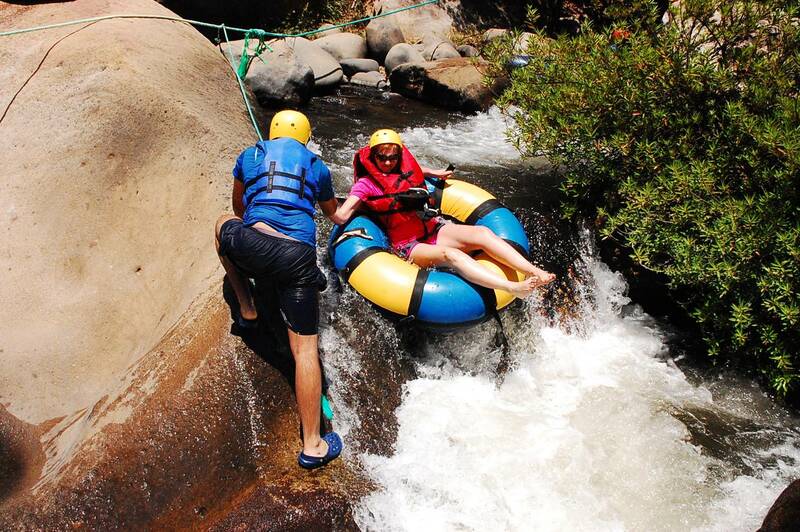 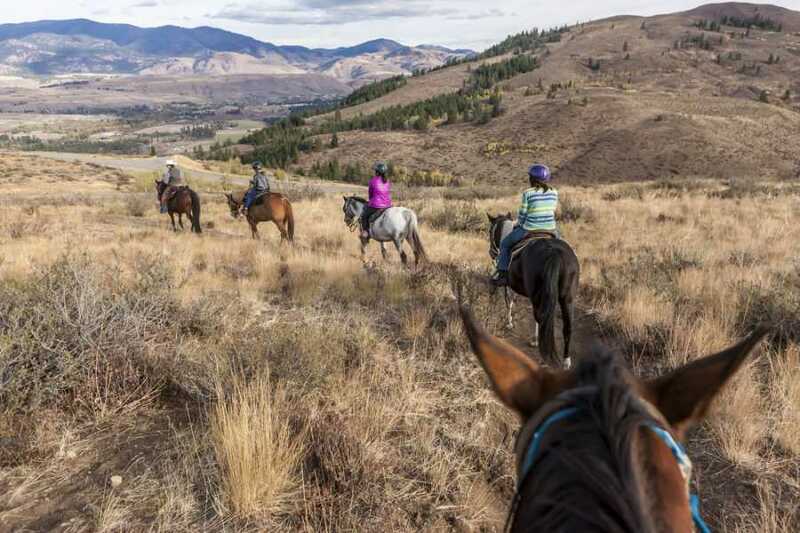 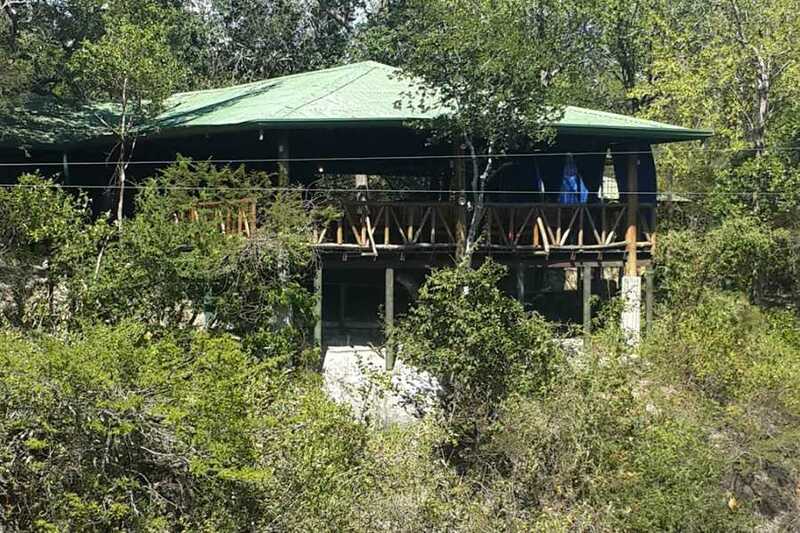 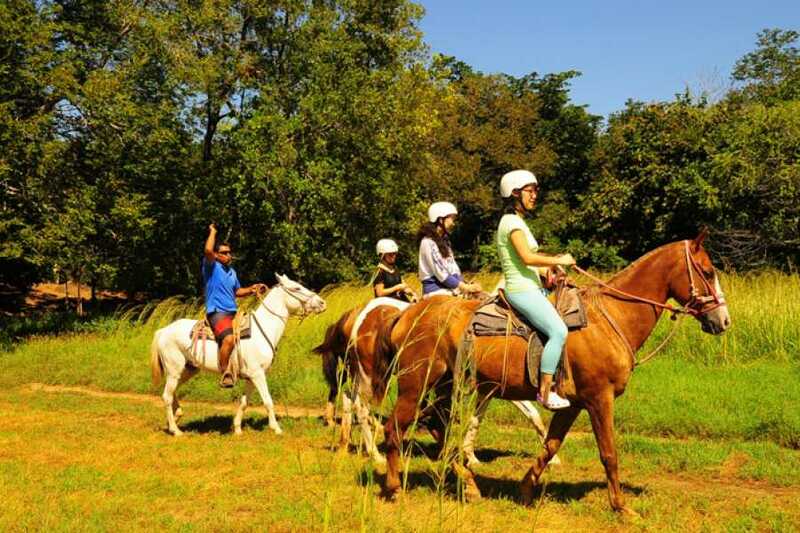 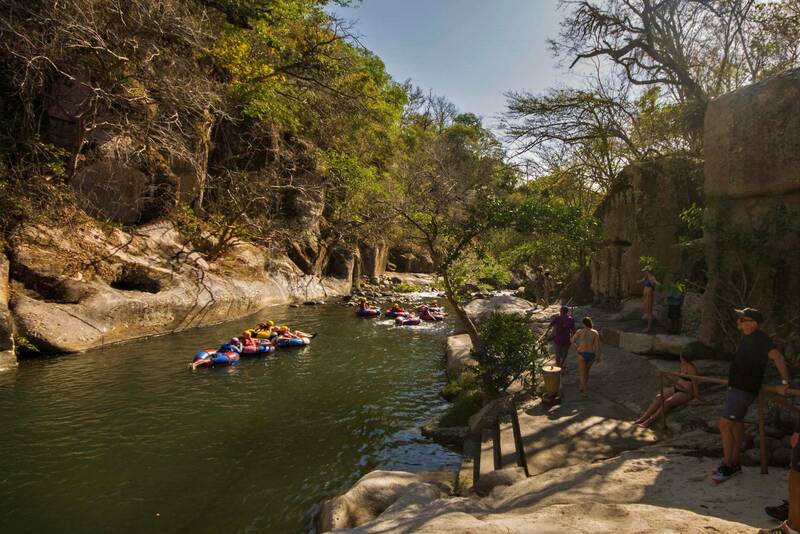 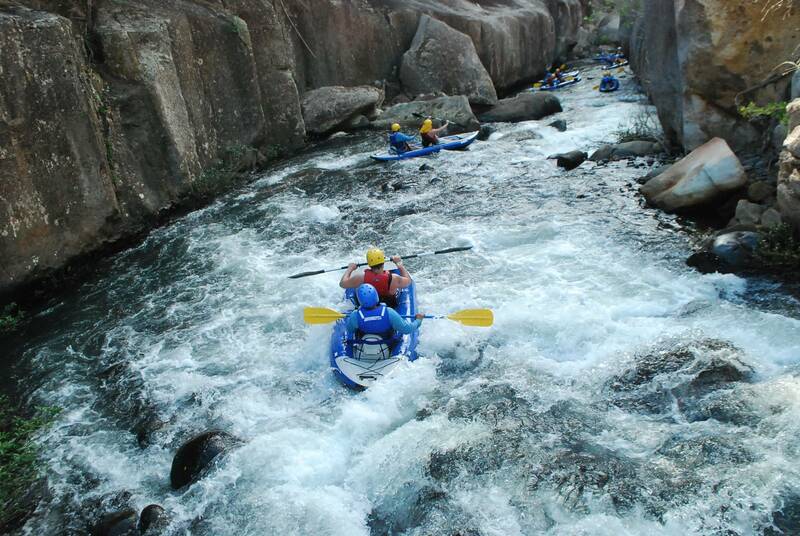 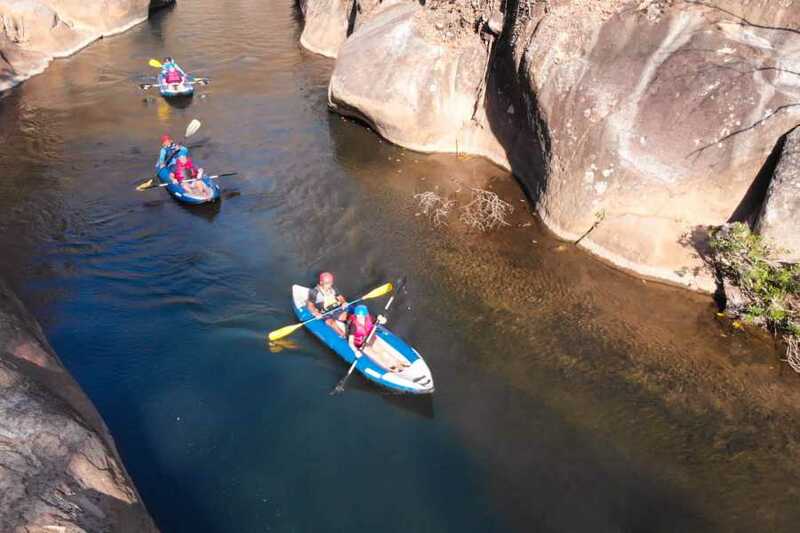 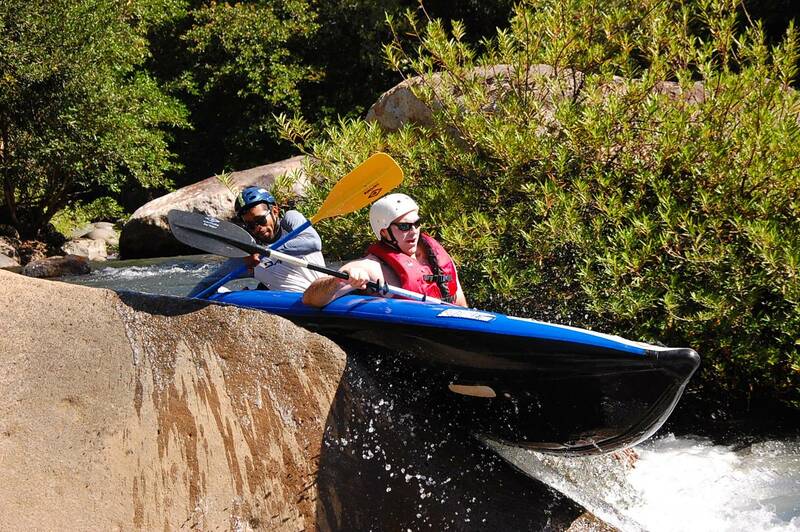 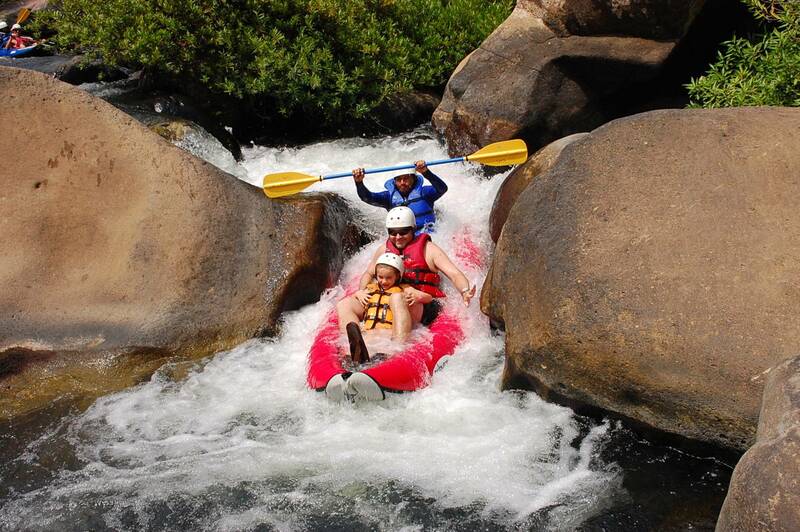 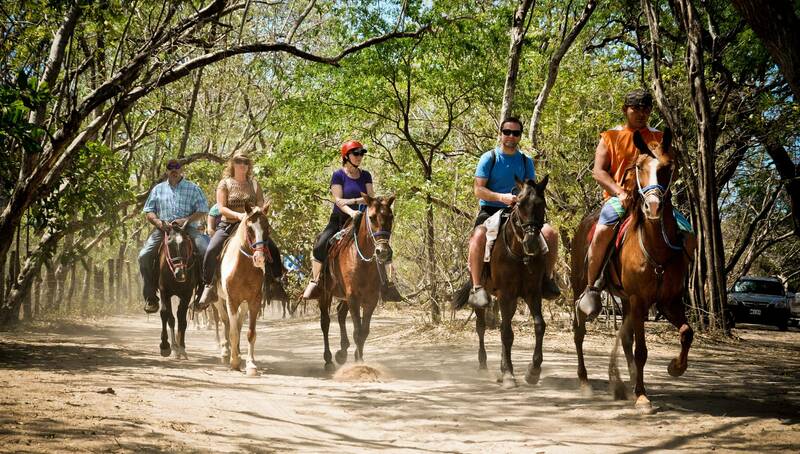 Enjoy rafting and tubing down river canyons, rappelling, zip-lining, spa, mud bath, buffet lunch, horseback riding and more. This trip is about 3 kilometers (1.864 miles) long, and it takes approximately 1:30 hours to complete. We leave the hotel in a jitney bus and in about 10 minutes we arrive to the river bank where the tour starts. We use the safest equipment, helmets and life vests. 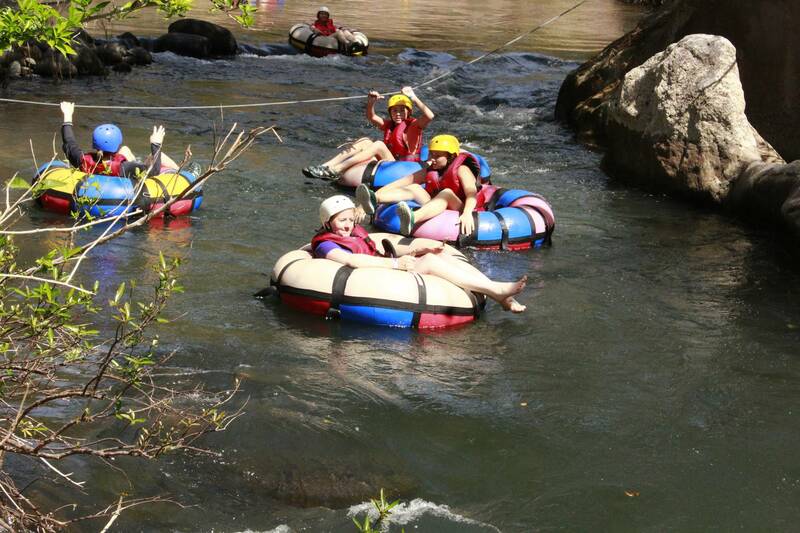 Everyone will get their own tube and a guide will follow with the group as well. 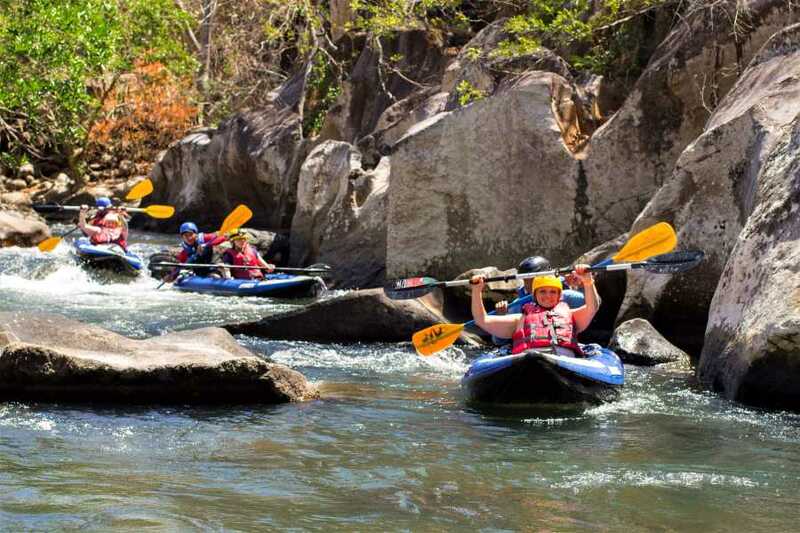 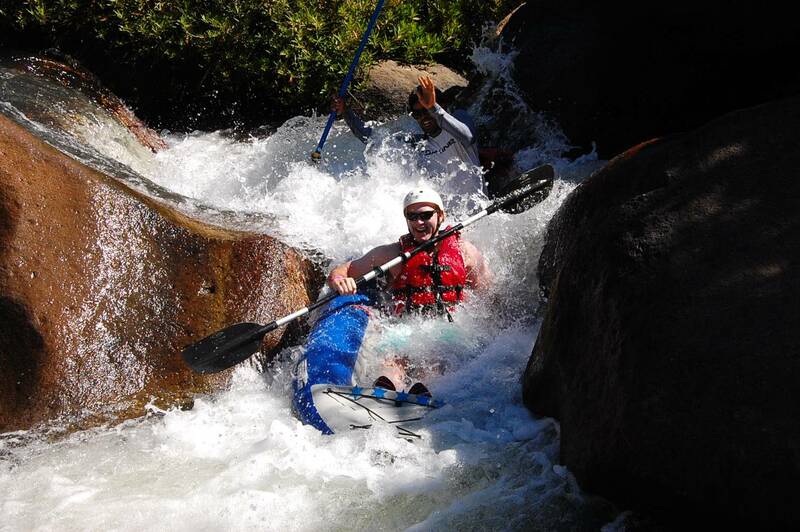 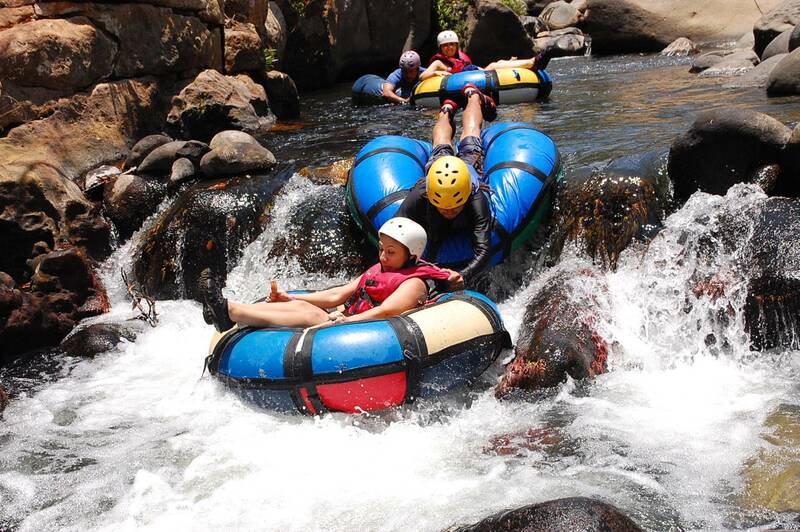 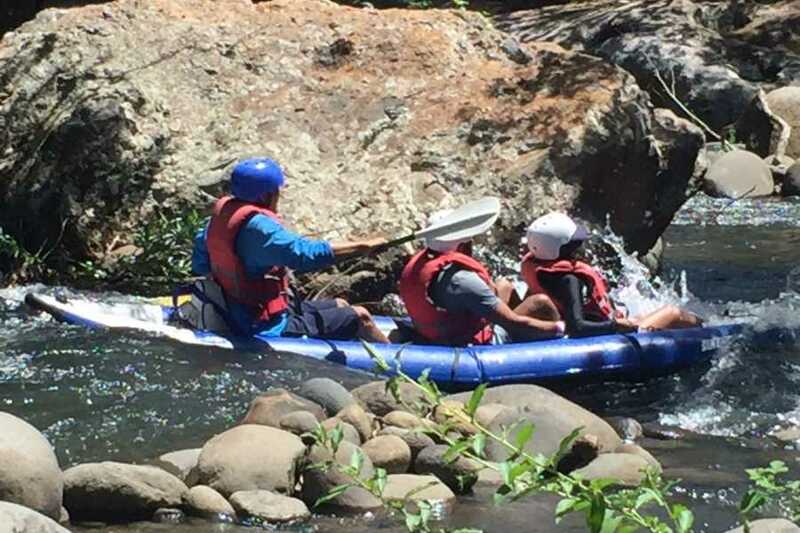 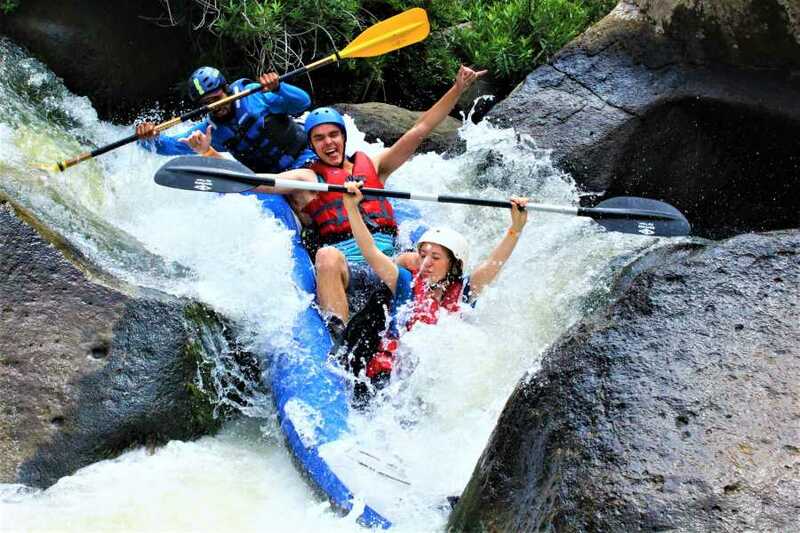 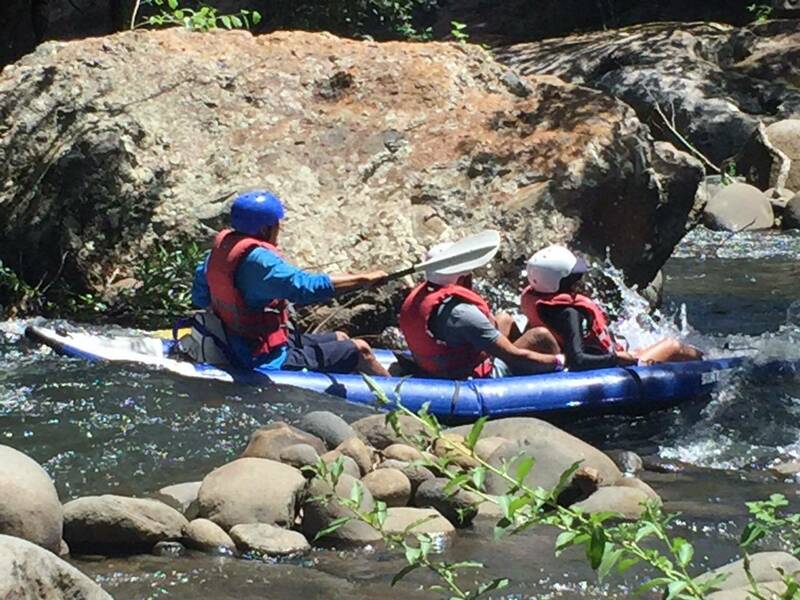 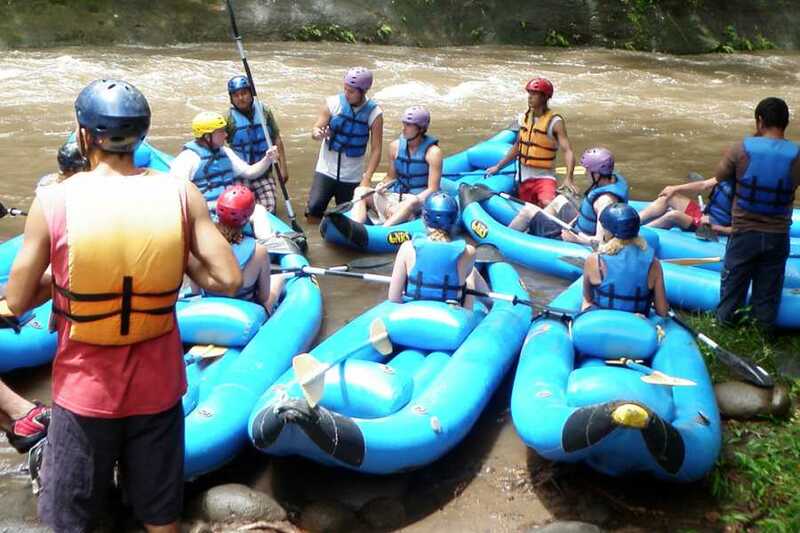 We offer class II and III rafting depending on the condition of the river and the weather conditions at the mountains in the Rincón de La Vieja volcano. 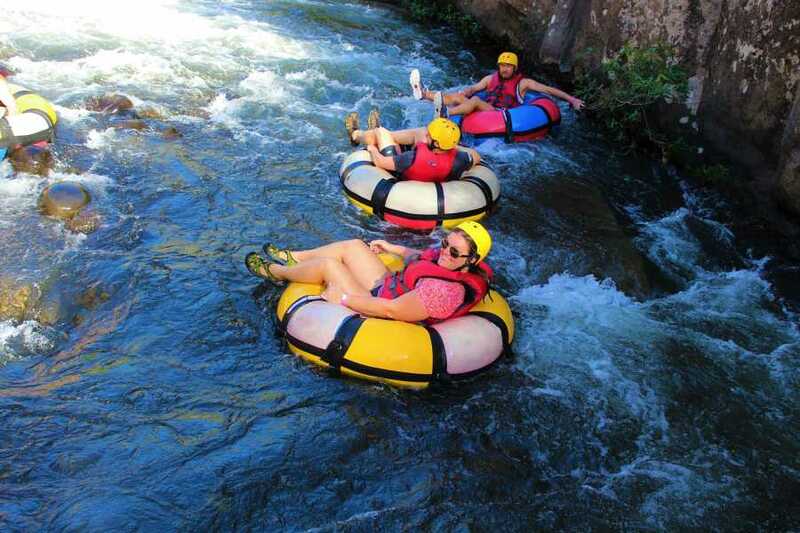 The recommended outfit for this trip is shorts or bathing suit, water shoes and a t-shirt. 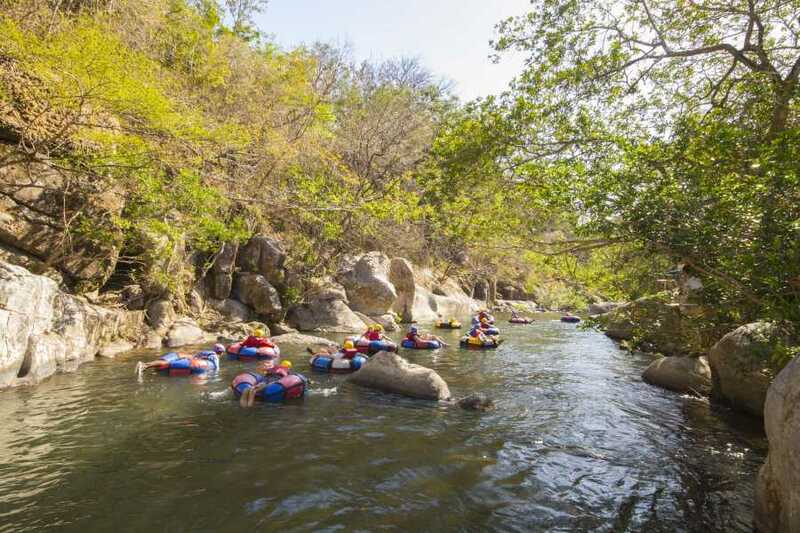 It is not recommended to bring objects or items that might become loose and get lost. 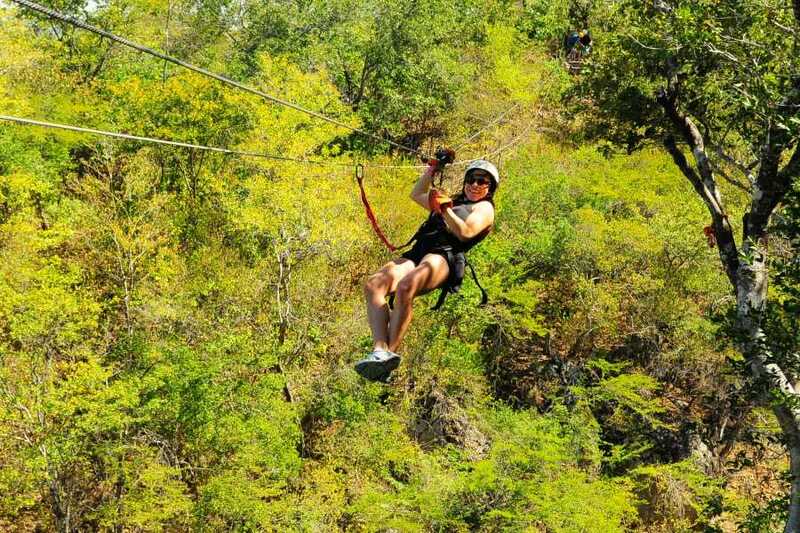 The canopy has a total of 9 cables and 17 platforms which crisscross the canyon of the Colorado river. It offers an amazing view of the zone's nature. 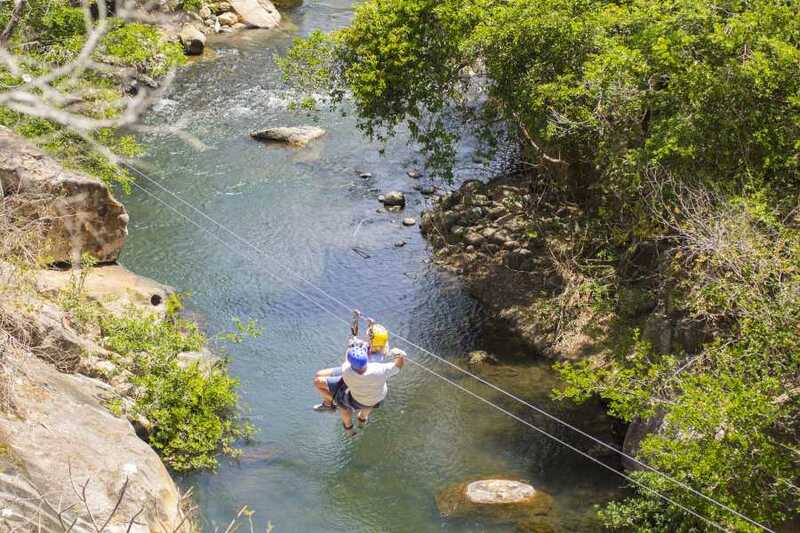 The zip-lines range from 150 mts. 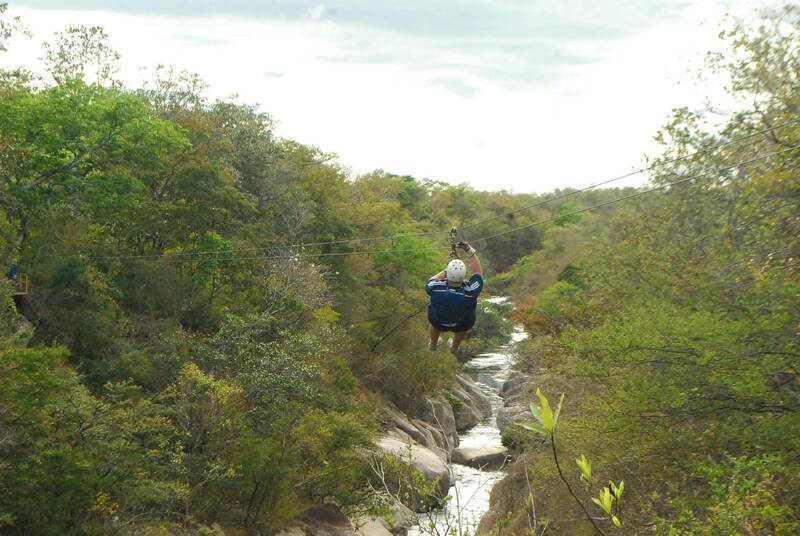 (492 feet) to 360 mts. 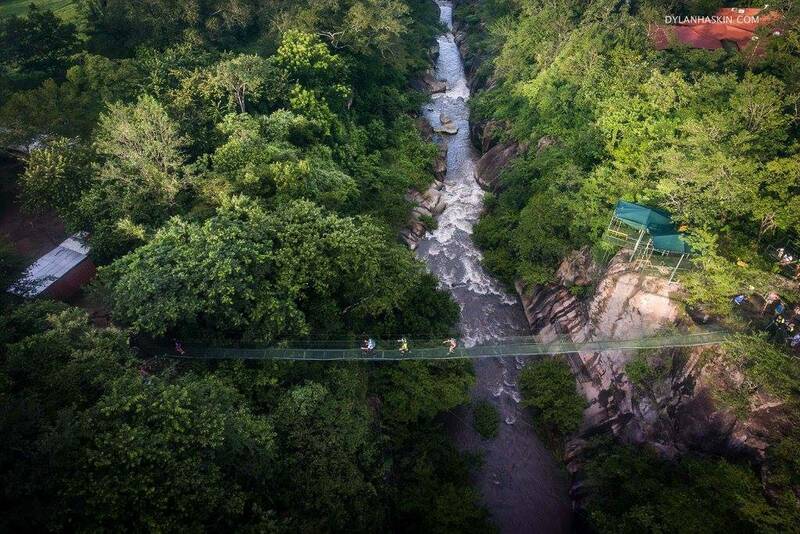 (1181 feet) and 45 mts. (147 feet) high. 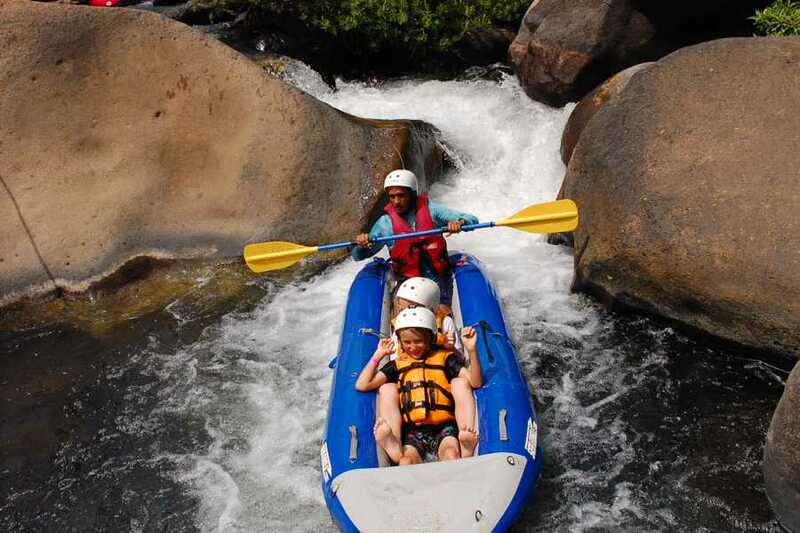 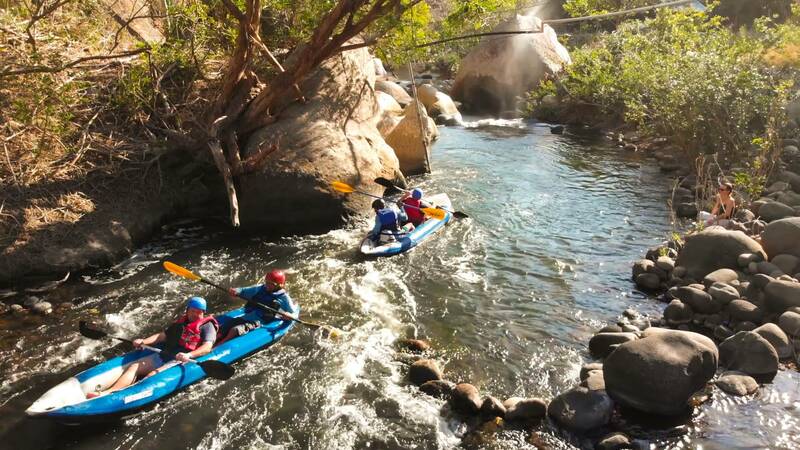 Just like in our other activities, special safety equipment is used, as well as expert guides making sure the experience is safe and enjoyable. The trip lasts about 1:30 hours. 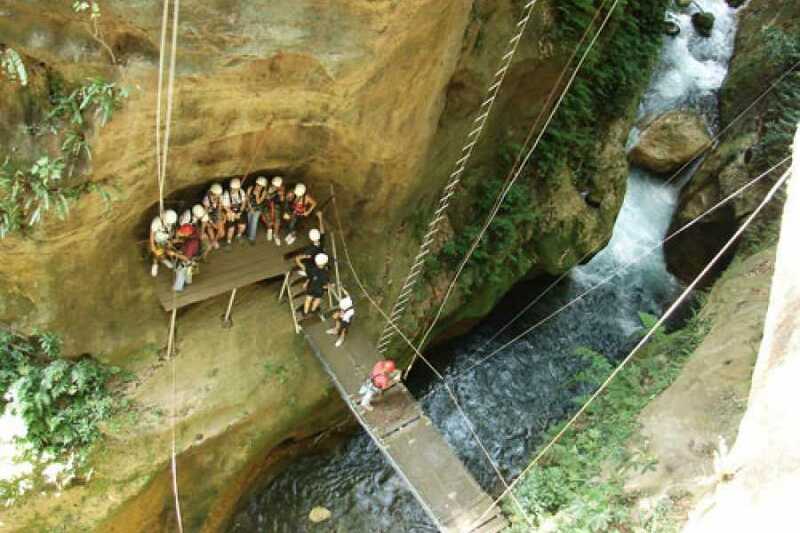 Recommended accessories for this trip are: shorts, sneakers, t-shirt and camera. 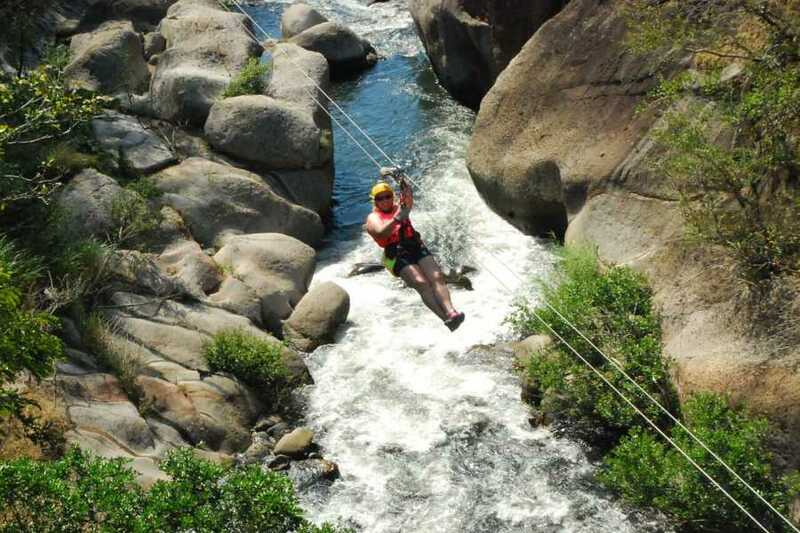 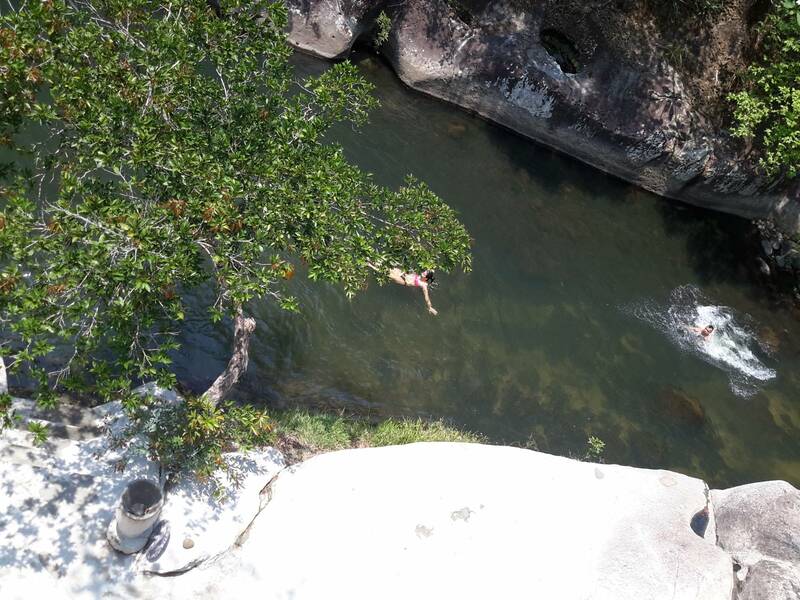 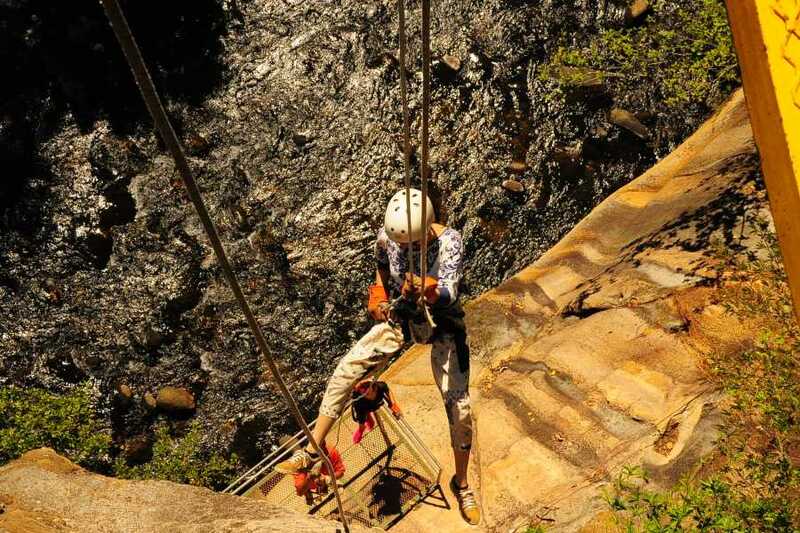 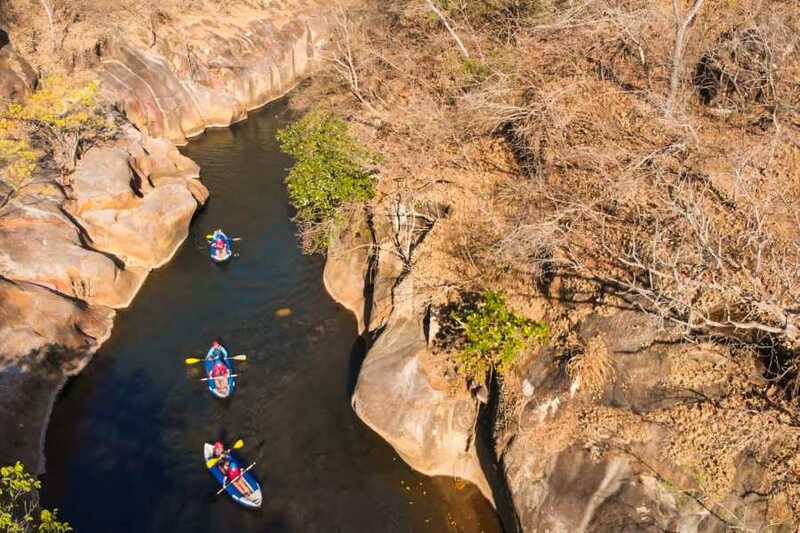 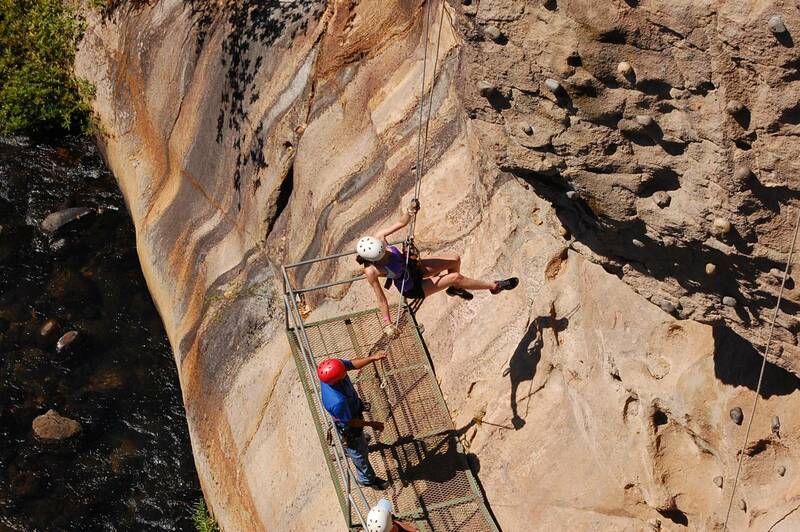 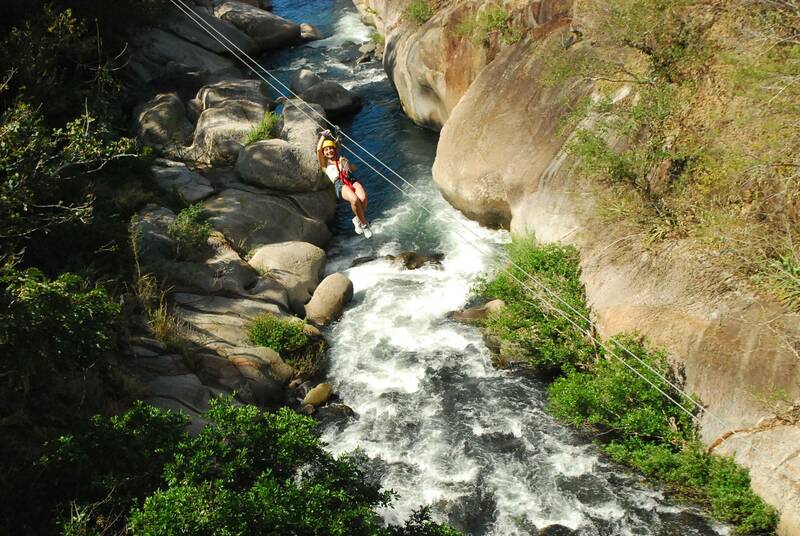 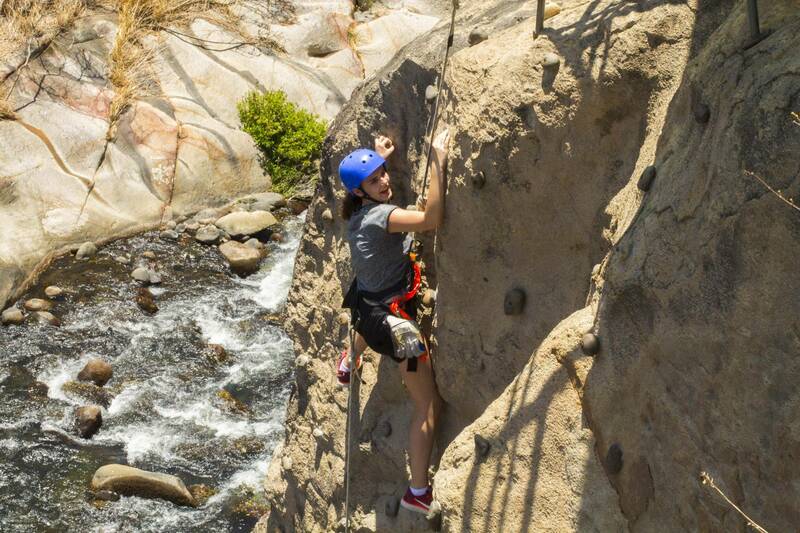 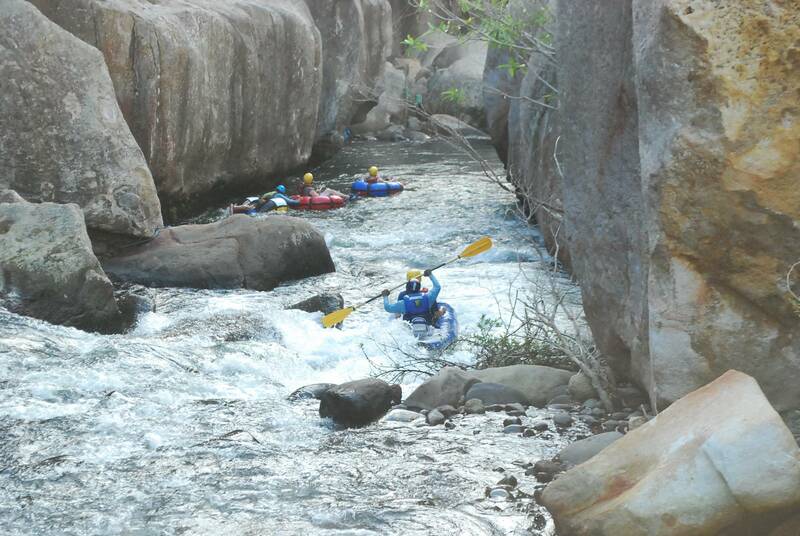 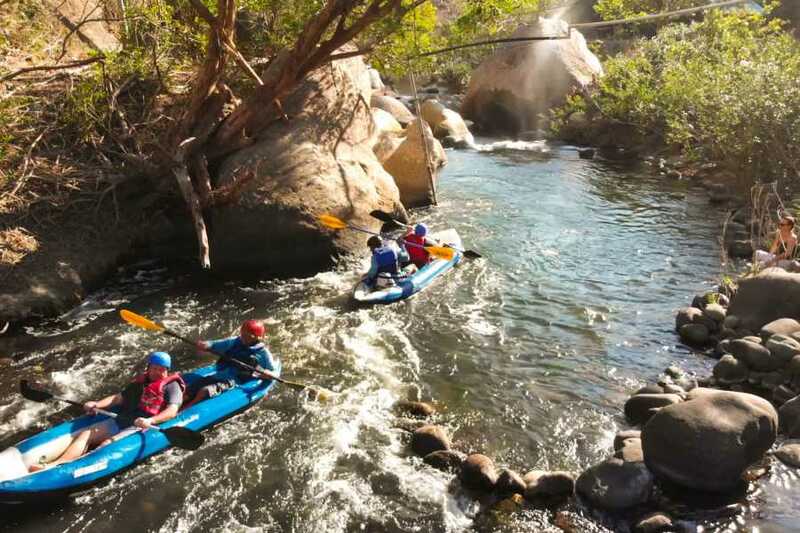 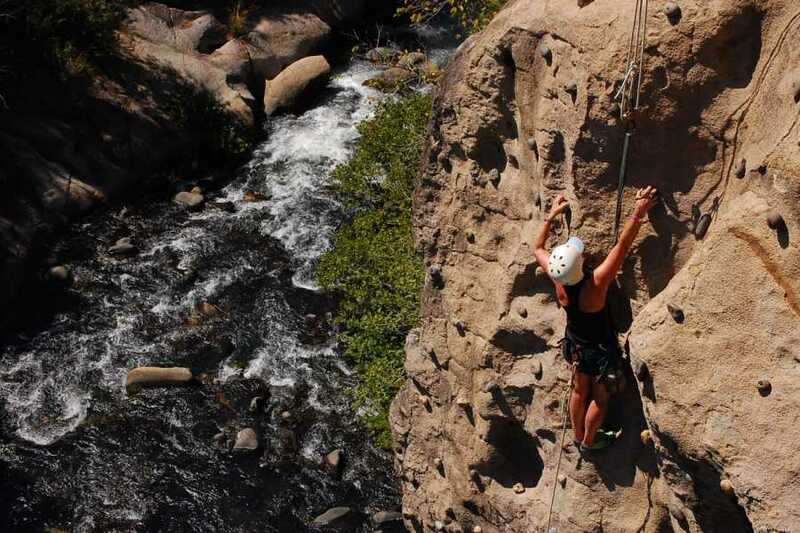 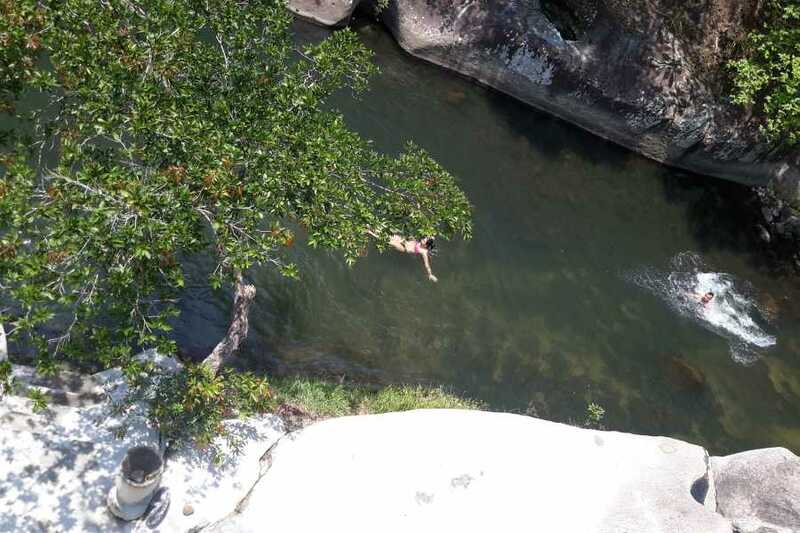 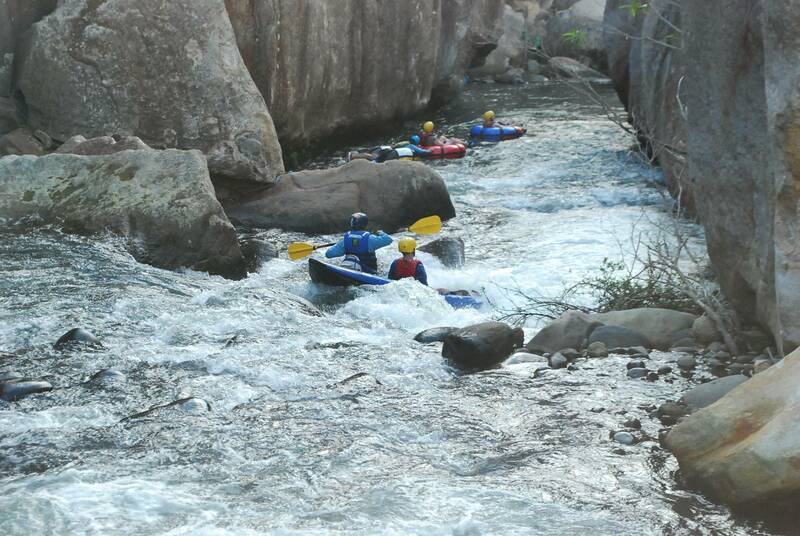 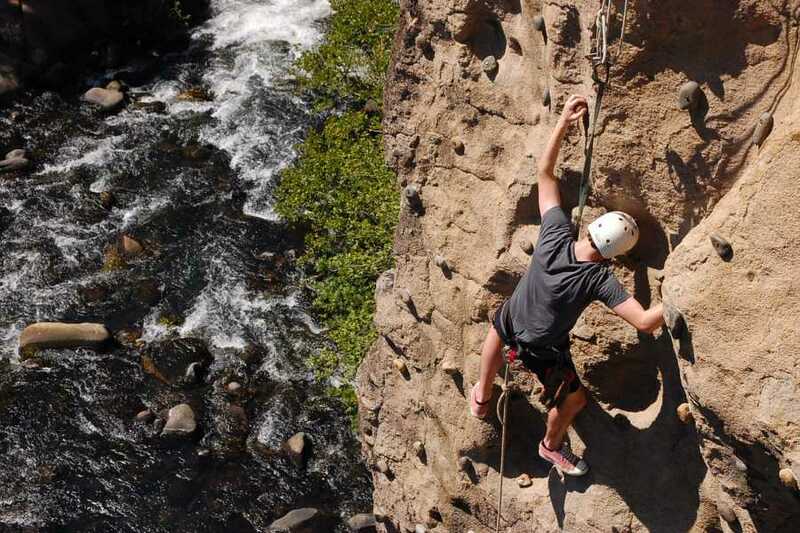 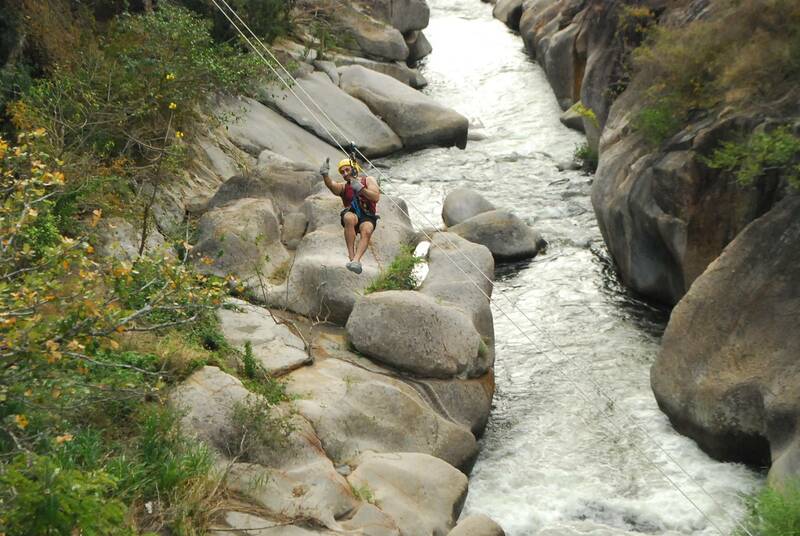 At the river bank you can enjoy the adrenaline rush of rappelling down the natural stone wall, which is about 20 mts. 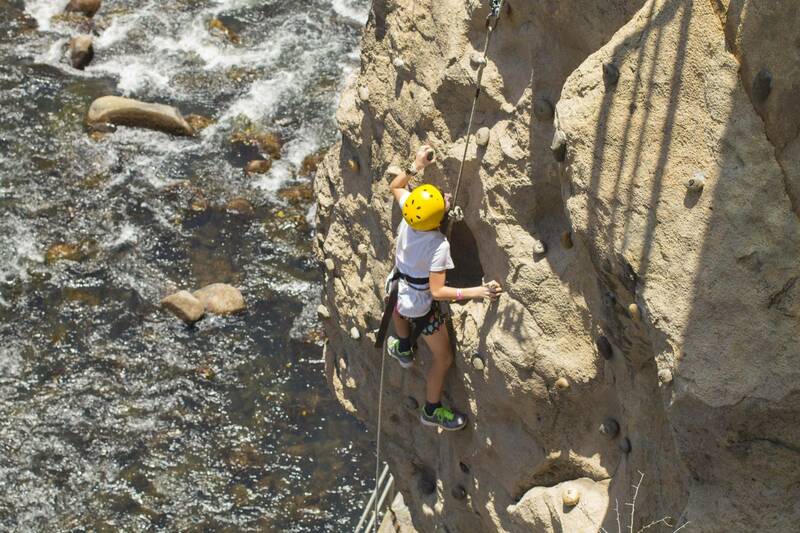 (65 feet) high. Once you reach the bottom, you can climb up again. 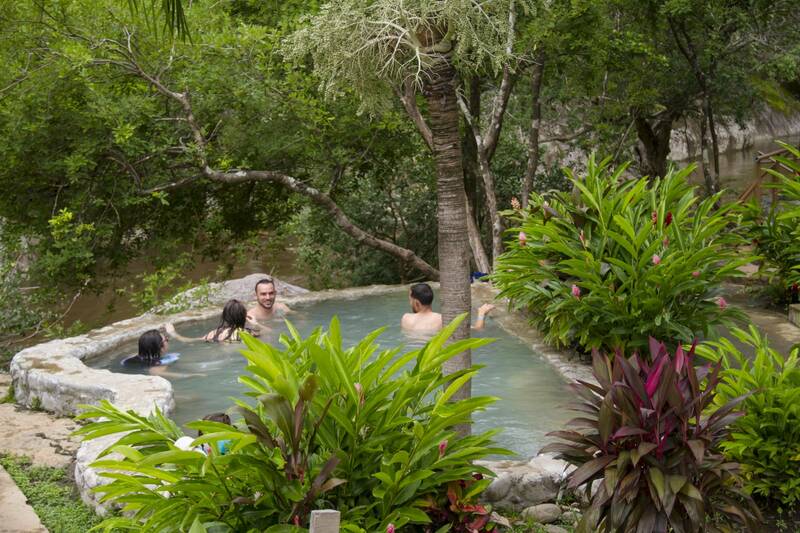 Aquetzally Spa was created in an attempt to make our facilities even more relaxing. 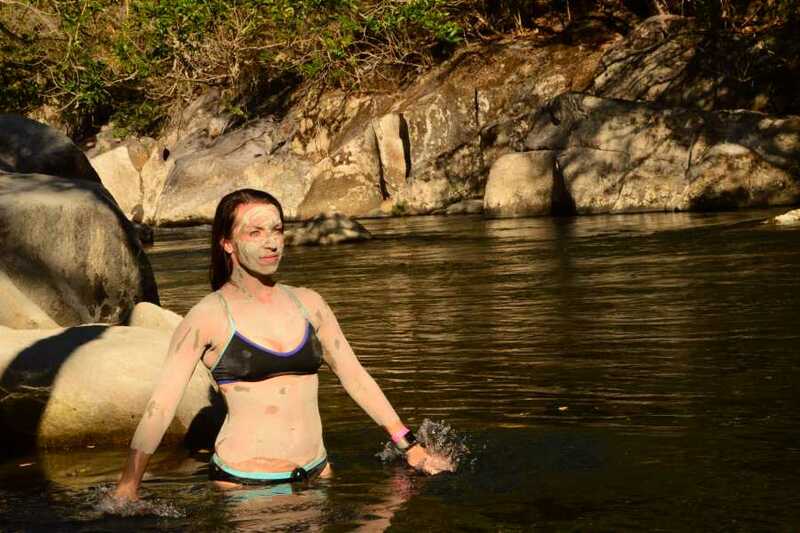 Here you can enjoy different and unique treatments that use the region’s natural products. 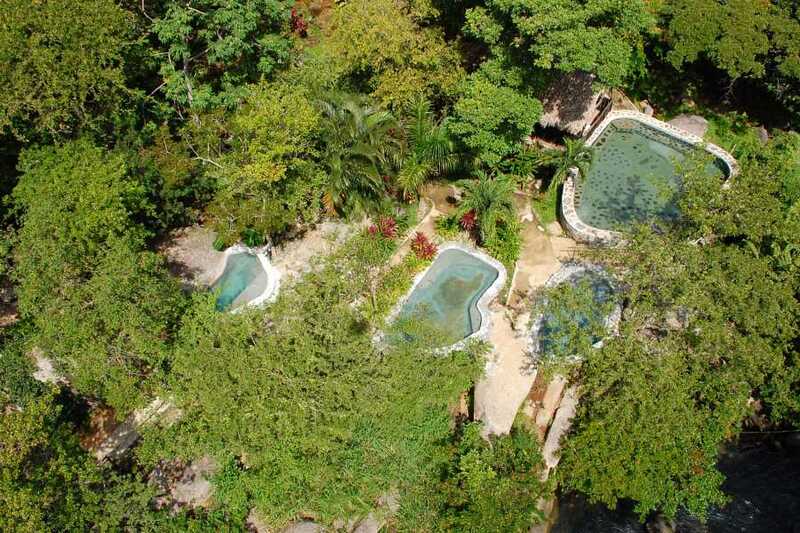 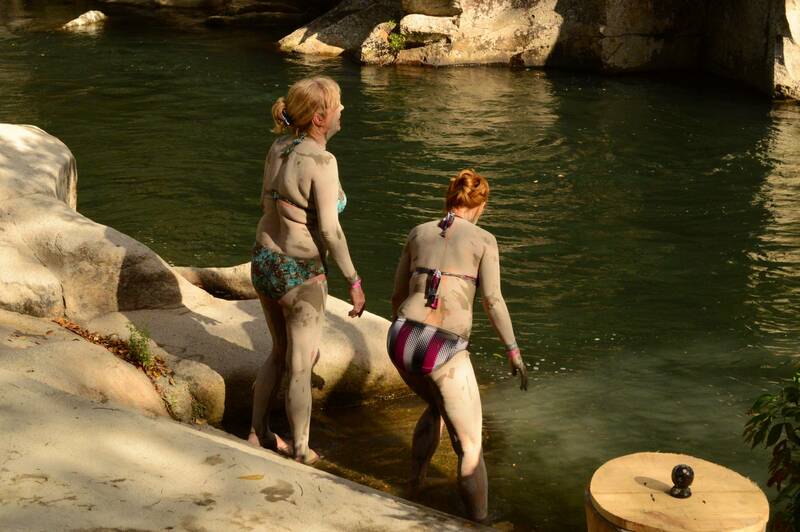 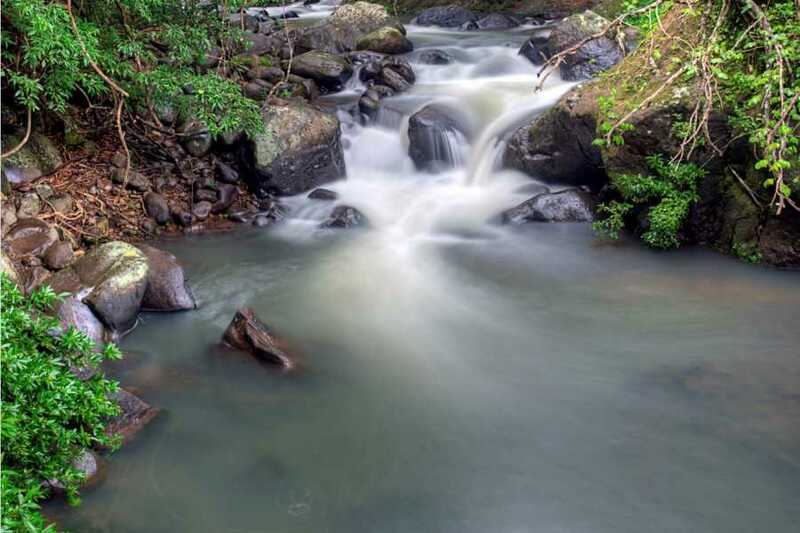 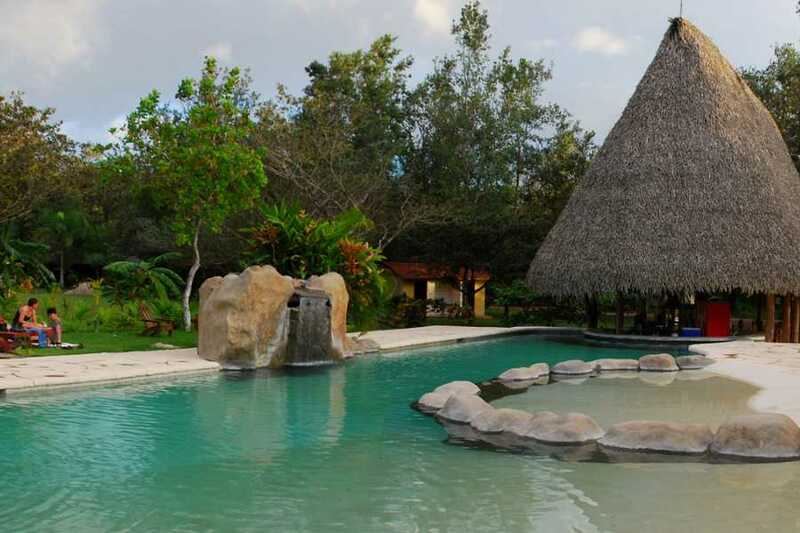 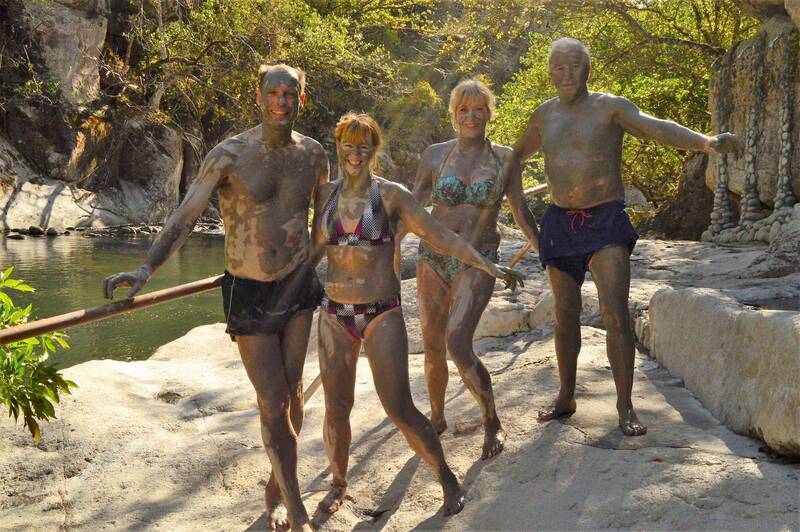 The spa is in the vicinity of the Colorado river and the Rincón de La Vieja Volcano. 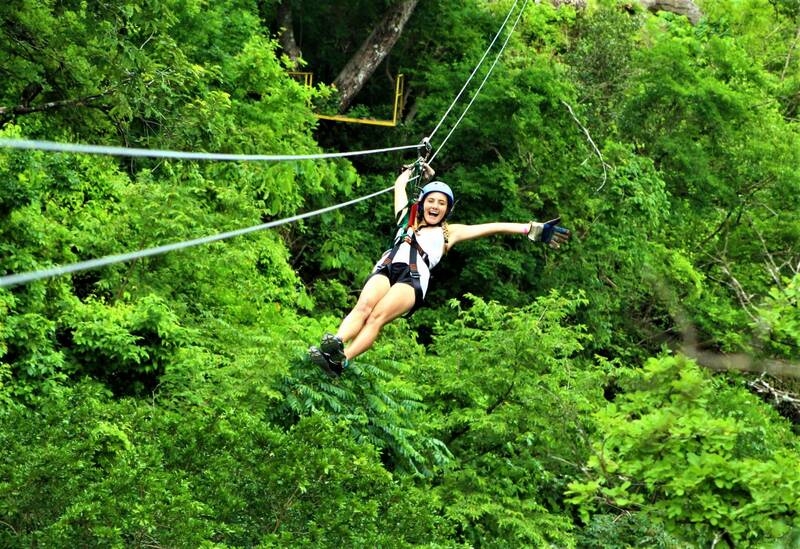 Get ready for an all-day Costa Rica Adventure! 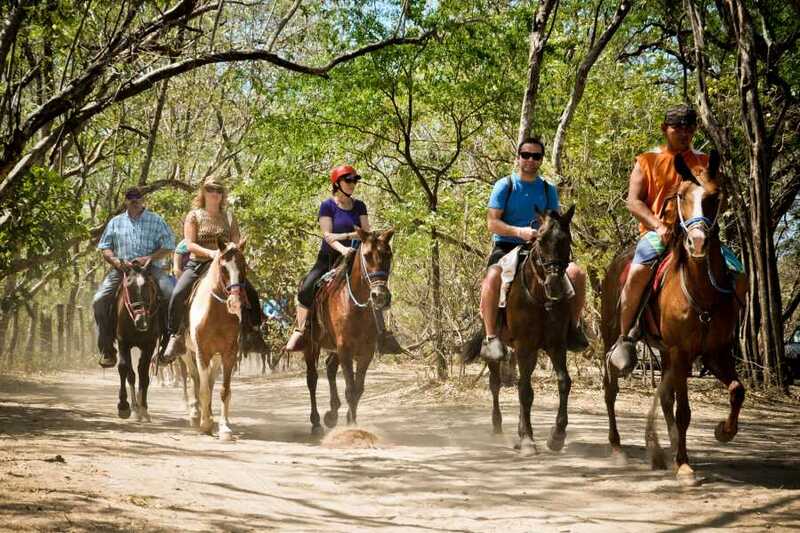 This amazing tour starts at around 7:00 a.m. We will pick you up from where you are staying and drive you to the beautiful park. You then get to spend the entire day doing all the activities you would like, guided through the entire park.